February 22 is the 53rd day of the year in the Gregorian calendar.There are 312 days remaining until the end of the year(313 in leap years). 705 – Empress Wu Zetian abdicates the throne, restoring the Tang dynasty. 1316 – Battle of Picotin between Ferdinand of Majorca and the forces of Matilda of Hainaut. 1371 – Robert II becomes King of Scotland, beginning the Stuart dynasty. 1495 – King Charles VIII of France enters Naples to claim the city's throne. 1632 – Galileo's Dialogue Concerning the Two Chief World Systems is published. 1651 – St. Peter's Flood: A storm surge floods the Frisian coast, drowning 15,000 people. 1744 – War of the Austrian Succession: The Battle of Toulon causes several Royal Navy captains to be court-martialed, and the Articles of War to be amended. 1797 – The last Invasion of Britain begins near Fishguard, Wales. 1819 – By the Adams–Onís Treaty, Spain sells Florida to the United States for five million U.S. dollars. 1821 – Greek War of Independence: Alexander Ypsilantis crosses the Prut river at Sculeni into the Danubian Principalities. 1847 – Mexican–American War: The Battle of Buena Vista: Five thousand American troops defeat 15,000 Mexican troops. 1848 – The French Revolution of 1848, which would lead to the establishment of the French Second Republic, begins. 1853 – Washington University in St. Louis is founded as Eliot Seminary in St. Louis, Missouri. 1855 – The Pennsylvania State University is founded in State College, Pennsylvania (as the Farmers' High School of Pennsylvania). 1856 – The United States Republican Party opens its first national convention in Pittsburgh. 1862 – Jefferson Davis is officially inaugurated for a six-year term as the President of the Confederate States of America in Richmond, Virginia. He was previously inaugurated as a provisional president on February 18, 1861. 1872 – The Prohibition Party holds its first national convention in Columbus, Ohio, nominating James Black as its presidential nominee. 1878 – In Utica, New York, Frank Woolworth opens the first of many of five-and-dime Woolworth stores. 1889 – President Grover Cleveland signs a bill admitting North Dakota, South Dakota, Montana and Washington as U.S. states. 1899 – Filipino forces led by General Antonio Luna launch counterattacks for the first time against the American forces during the Philippine–American War. The Filipinos fail to regain Manila from the Americans. 1904 – The United Kingdom sells a meteorological station on the South Orkney Islands to Argentina; the islands are subsequently claimed by the United Kingdom in 1908. 1909 – The sixteen battleships of the Great White Fleet, led by USS Connecticut, return to the United States after a voyage around the world. 1915 – World War I: The Imperial German Navy institutes unrestricted submarine warfare. 1921 – After Russian forces under Baron Roman von Ungern-Sternberg drive the Chinese out, the Bogd Khan is reinstalled as the emperor of Mongolia. 1924 – U.S. President Calvin Coolidge becomes the first President to deliver a radio address from the White House. 1942 – World War II: President Franklin D. Roosevelt orders General Douglas MacArthur out of the Philippines as the Japanese victory becomes inevitable. 1943 – World War II: Members of the White Rose resistance, Sophie Scholl, Hans Scholl, and Christoph Probst are executed in Nazi Germany. 1944 – World War II: American aircraft mistakenly bomb the Dutch towns of Nijmegen, Arnhem, Enschede and Deventer, resulting in 800 dead in Nijmegen alone. 1944 – World War II: The Soviet Red Army recaptures Krivoi Rog. 1957 – Ngô Đình Diệm of South Vietnam survives a communist shooting assassination attempt in Buôn Ma Thuột. 1958 – Egypt and Syria join to form the United Arab Republic. 1959 – Lee Petty wins the first Daytona 500. 1972 – The Official Irish Republican Army detonates a car bomb at Aldershot barracks, killing seven and injuring nineteen others. 1973 – Cold War: Following President Richard Nixon's visit to the People's Republic of China, the two countries agree to establish liaison offices. 1974 – The Organisation of the Islamic Conference summit begins in Lahore, Pakistan. Thirty-seven countries attend and twenty-two heads of state and government participate. It also recognizes Bangladesh. 1980 – Miracle on Ice: In Lake Placid, New York, the United States hockey team defeats the Soviet Union hockey team 4–3. 1983 – The notorious Broadway flop Moose Murders opens and closes on the same night at the Eugene O'Neill Theatre. 1986 – Start of the People Power Revolution in the Philippines. 1994 – Aldrich Ames and his wife are charged by the United States Department of Justice with spying for the Soviet Union. 1995 – The Corona reconnaissance satellite program, in existence from 1959 to 1972, is declassified. 1997 – In Roslin, Midlothian, British scientists announce that an adult sheep named Dolly has been successfully cloned. 2002 – Angolan political and rebel leader Jonas Savimbi is killed in a military ambush. 2005 – The 6.4 Mw  Zarand earthquake shakes the Kerman Province of Iran with a maximum Mercalli intensity of VIII (Severe), leaving 612 people dead and 1,411 injured. 2006 – At least six men stage Britain's biggest robbery, stealing £53m (about $92.5 million or €78 million) from a Securitas depot in Tonbridge, Kent. 2011 – New Zealand's second deadliest earthquake strikes Christchurch, killing 185 people. 2011 – Bahraini uprising: Tens of thousands of people march in protest against the deaths of seven victims killed by police and army forces during previous protests. 2012 – A train crash in Buenos Aires, Argentina, kills 51 people and injures 700 others. 2014 – President Viktor Yanukovych of Ukraine is impeached by the Verkhovna Rada of Ukraine by a vote of 328–0, fulfilling a major goal of the Euromaidan rebellion. 2015 – A ferry carrying 100 passengers capsizes in the Padma River, killing 70 people. 2018 – A man throws a grenade at the U.S embassy in Podgorica, Montenegro. He dies at the scene from a second explosion, with no one else hurt. Year 705 (DCCV) was a common year starting on Thursday of the Julian calendar. The denomination 705 for this year has been used since the early medieval period, when the Anno Domini calendar era became the prevalent method in Europe for naming years. Wu Zetian, alternatively named Wu Zhao, Wu Hou, during the later Tang dynasty as Tian Hou, in English as Empress Consort Wu or by the deprecated term "Empress Wu", was a Chinese sovereign who ruled unofficially as empress consort and empress dowager and officially as empress regnant (皇帝) during the brief Zhou dynasty, which interrupted the Tang dynasty. Wu was the sole officially recognized empress regnant of China in more than two millennia. The Tang dynasty or the Tang Empire was an imperial dynasty of China spanning the 7th to 10th centuries. It was preceded by the Sui dynasty and followed by the Five Dynasties and Ten Kingdoms period. Historians generally regard the Tang as a high point in Chinese civilization, and a golden age of cosmopolitan culture. Tang territory, acquired through the military campaigns of its early rulers, rivaled that of the Han dynasty. The Tang capital at Chang'an was the most populous city in the world in its day. Year 1028 (MXXVIII) was a leap year starting on Monday of the Julian calendar. Dhia' ul-Din Abd al-Malik ibn Yusuf al-Juwayni al-Shafi'i was a Persian Sunni Shafi'i jurist and mutakallim theologian. His name is commonly abbreviated as Al-Juwayni; he is also commonly referred to as Imam al Haramayn, meaning "leading master of the two holy cities", that is, Mecca and Medina. Year 1040 (MXL) was a leap year starting on Tuesday of the Julian calendar. Year 556 (DLVI) was a leap year starting on Saturday of the Julian calendar. The denomination 556 for this year has been used since the early medieval period, when the Anno Domini calendar era became the prevalent method in Europe for naming years. Maximianus of Ravenna, or Maximian was bishop of Ravenna in Italy. Ravenna was then the capital of the Byzantine Empire's territories in Italy, and Maximianus's role may have included secular political functions. Year 606 (DCVI) was a common year starting on Saturday of the Julian calendar. The denomination 606 for this year has been used since the early medieval period, when the Anno Domini calendar era became the prevalent method in Europe for naming years. World Thinking Day, formerly Thinking Day, is celebrated annually on 22 February by all Girl Guides and Girl Scouts. It is also celebrated by Scout and Guide organizations and some boy-oriented associations around the world. It is a day when they think about their "sisters" in all the countries of the world, the meaning of Guiding, and its global impact. The World Association of Girl Guides and Girl Scouts is a global association supporting the female-oriented and female-only Guiding and Scouting organizations in 150 countries. It was established in 1928 in Parád, Hungary, and has its headquarters in London, England. It is the counterpart of the World Organization of the Scout Movement (WOSM). WAGGGS is organized into five regions and operates five international Guiding centers. It holds full member status in the European Youth Forum (YFJ), which operates within the Council of Europe and European Union areas and works closely with these bodies. Independence Day, celebrates the independence of Saint Lucia from the United Kingdom in 1979. 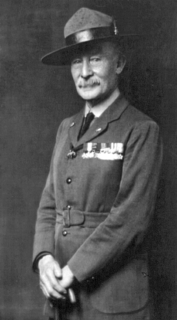 Olave St Clair Baden-Powell, Lady Baden-Powell, GBE was the first Chief Guide for Britain and the wife of Robert Baden-Powell, 1st Baron Baden-Powell, the founder of Scouting and Girl Guides. She outlived her husband, who was 32 years her senior, by over 35 years. Scouts' Day or Guides' Day is a generic term for special days observed by members of the Scouting movement throughout the year. Some of these days have religious significance, while others may be a simple celebration of Scouting. Typically, it is a day when all members of Scouting will re-affirm the Scout Promise. The World Organization of the Scout Movement is the largest international Scouting organization. WOSM has 170 members. These members are recognized national Scout organizations, which collectively have over 50 million participants. WOSM was established in 1922, and has its operational headquarters at Kuala Lumpur, Malaysia and its legal seat in Geneva, Switzerland. It is the counterpart of the World Association of Girl Guides and Girl Scouts (WAGGGS). April 15 is the 105th day of the year in the Gregorian calendar. There are 260 days remaining until the end of the year. April 7 is the 97th day of the year in the Gregorian calendar. There are 268 days remaining until the end of the year. January 14 is the 14th day of the year in the Gregorian calendar. There are 351 days remaining until the end of the year. March 29 is the 88th day of the year in the Gregorian calendar. There are 277 days remaining until the end of the year. March 31 is the 90th day of the year in the Gregorian calendar. There are 275 days remaining until the end of the year. November 17 is the 321st day of the year in the Gregorian calendar. There are 44 days remaining until the end of the year. October 18 is the 291st day of the year in the Gregorian calendar. There are 74 days remaining until the end of the year. October 15 is the 288th day of the year in the Gregorian calendar. There are 77 days remaining until the end of the year. ↑ Hunt, Michael (2013). The World Transformed:1945 to the Present. Oxford University Press. p. 44. ISBN 9780199371020. ↑ "Zila". Moulvibazar.com. January 2016. Retrieved 4 September 2018. ↑ Miles, Alfred Henry (1906). The Poets and the Poetry of the Nineteenth Century. 11 (Public domain ed.). G. Routledge. pp. 215–. ↑ Young, John. "Sullivan, Patrick Peter (Pat) (1885–1933)". Australian Dictionary of Biography . Canberra: Australian National University. Retrieved 24 September 2013. Wikimedia Commons has media related to February 22 .